Passover starts tonight. This year I have decided to follow the no-gluten rule as a way to show my solidarity and test my will power. 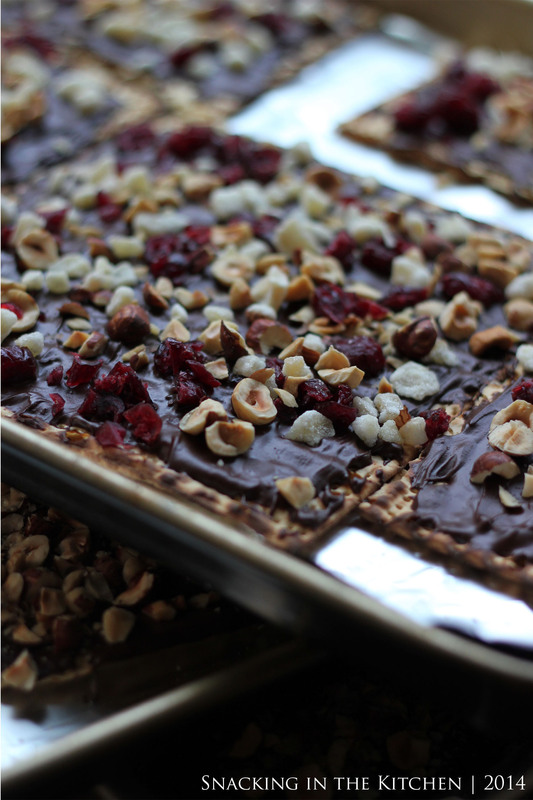 To lessen the blow of giving up bread and cookies, I made this sweet Passover Chocolate Covered Matzo with Hazelnuts, Cranberries and Candied Ginger. 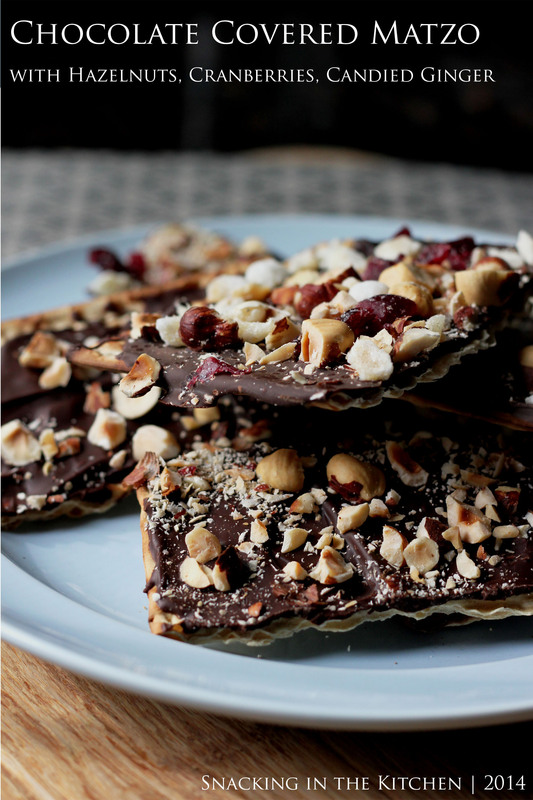 I used the chocolate-covered-strawberry method, where I melted the chocolate with a little bit of butter and spread it over oven-toasted matzo crackers before topping them with chopped hazelnuts, cranberries and candied ginger. This is in my opinion a much easier and faster way and gives you a splendid result. 1. Preheat oven to 350 degrees F. Line 3 baking sheets with aluminum foil and arrange matzo evenly among the sheets. You might need to break a few crackers in half. 2. Toast matzo in the oven for 10 minutes. 3. 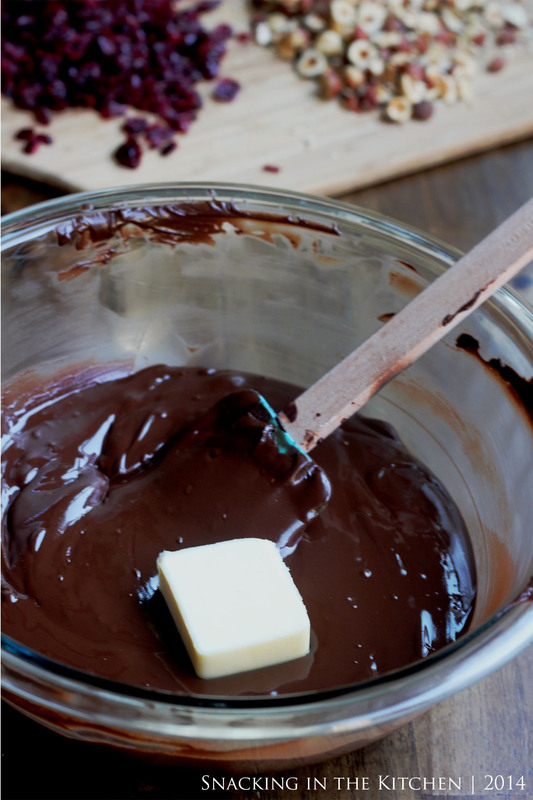 Place chocolate in a large microwave-safe bowl and melt in the microwave at 30-second intervals, stirring in between with a spatula. Once melted, stir in butter. 4. 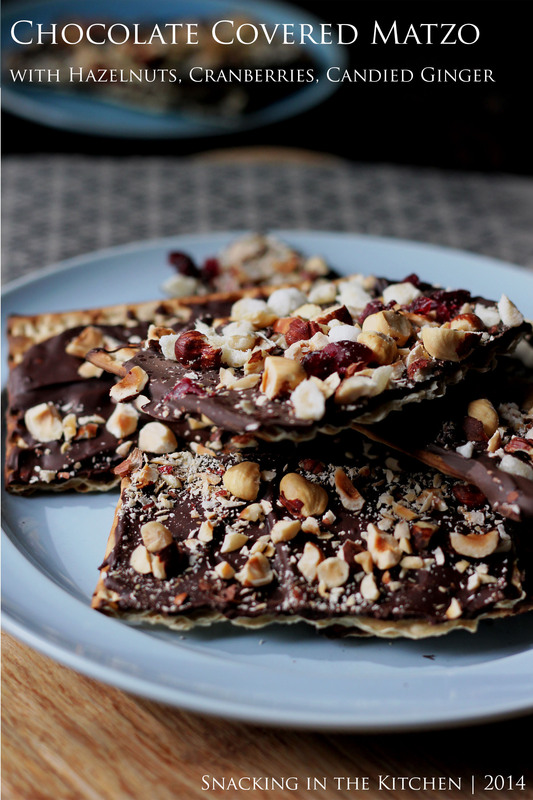 Spread chocolate evenly over matzo crackers and sprinkle with hazelnuts, cranberries and candied ginger, lightly pressing the toppings into the chocolate. 5. 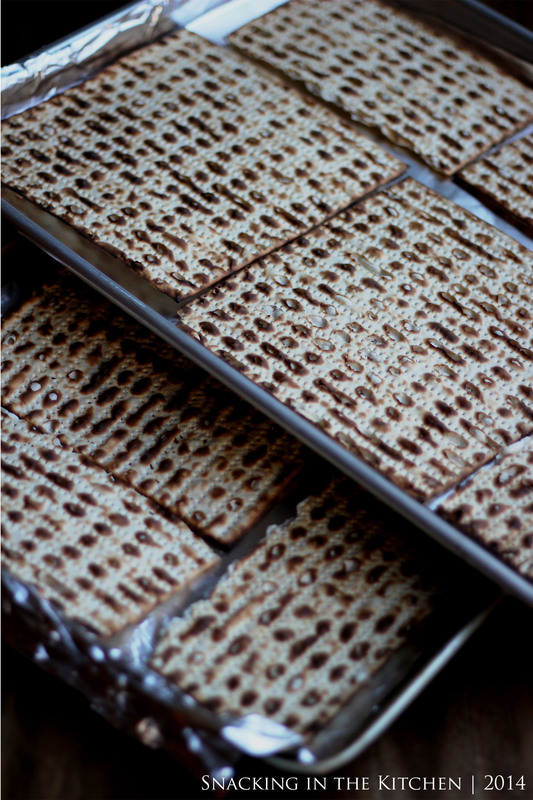 Set the matzo crackers at room temperature or refrigerator before breaking into individual pieces. Now that you know the basic method and proportions, it’s time to play. 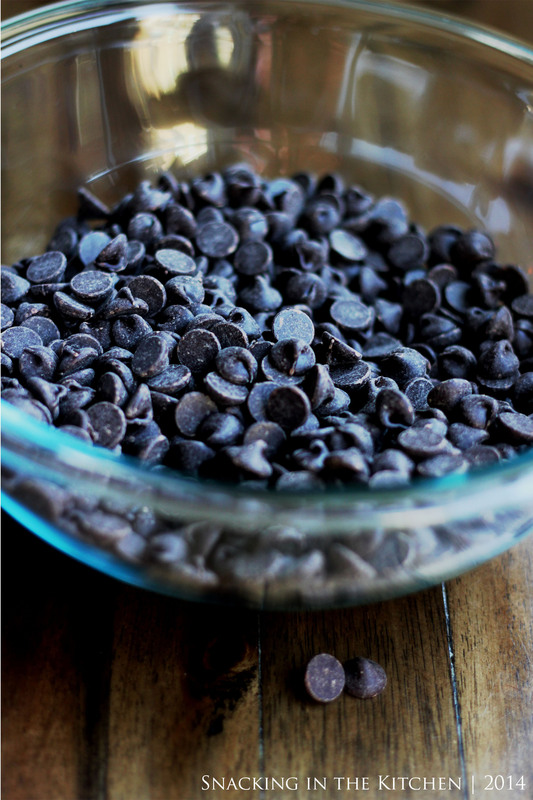 Try this with sea salt, candied orange, different types of nuts, or a drizzle of white chocolate over the top. I wish you all a happy Passover. May you have a sweet year.